Sen. John McCain will lie in state at the US Capitol in Washington, DC, on Friday, reports Time magazine. Sen. McCain’s funeral will be held Saturday at Washington National Cathedral with burial following at the cemetery at the US Naval Academy in Annapolis. Sen. McCain, 81, died Aug. 25 of brain cancer. The Arizona Republic examines what Sen. McCain’s legacy will be. 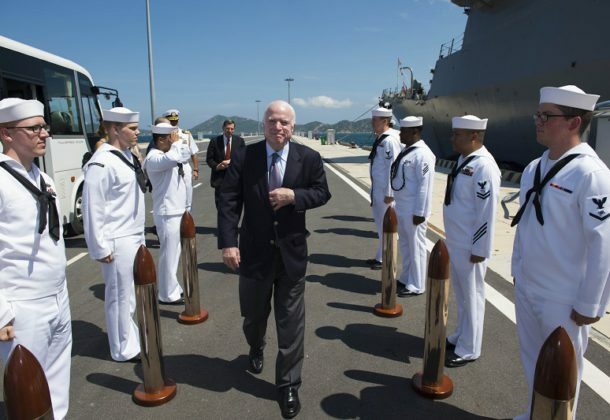 Military Times looks back at Mr. McCain’s five-year ordeal as a prisoner of war that would come to define the future senator and presidential candidate’s life. Markets Insider reports MAG Aerospace has acquired Ausley Associates in Lexington Park. The acquisition adds more than 200 system engineering, program management, and logistics professionals to MAG’s team of UAS and aviation experts. VADM Andrew “Woody” Lewis, a former combat aviator, took command of the Navy’s newly re-established 2nd Fleet during a ceremony aboard the aircraft carrier George H.W. Bush, reports Navy Times. President Donald Trump has told Secretary of State Mike Pompeo to delay a planned trip to North Korea, citing insufficient progress on denuclearization, reports Military Times. Iranian officials said on Monday that Iran has full control of the Persian Gulf and the US Navy did not belong there, reports Reuters. The US maintains a fleet in the Gulf that protects oil shipping routes. Bell Helicopter in Fort Worth, Texas, will build 29 new AH-1Z Viper attack helicopters and avionics for the US Marine Corps, reports militaryaerospace.com. The contract is worth a half-billion dollars. 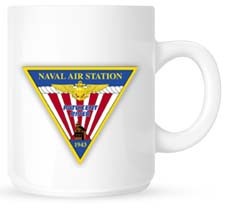 Navy pilot Cmdr. David Morales faces a trial by military judge to answer charges that he took more than $5,000 in unauthorized gifts from Leonard “Fat Leonard” Francis, reports Navy Times. The trial kicked off Monday in Norfolk. The Air Force says the crash of a T-38C Talon training aircraft in Texas last November that killed one of its two pilots was caused by a dual failure of the trainer’s troubled airframe mounted gearboxes, reports Air Force Times. The US Coast Guard has received the first of five HC-130J Super Hercules aircraft that will replace its aging air fleet at an air station in Alaska, reports Defense News. Delivery of the remaining four planes is expected next year. Naval Air Station Pax River’s Port Operations Division and personnel from US Coast Guard Station in St. Inigoes are monitoring a partially submerged civilian watercraft in the Patuxent River for potential environmental impact, reports somd.com. Sandra Schiffer Durbin, one of the Navy’s earliest black female air traffic controllers, paid a visit to NAS Pax River earlier this month. DC Military reports that Durbin had asked to meet the installation’s first all-women qualified air traffic control tower team. Leidos Inc., Reston, Virginia, was awarded a $26,798,950 modification (P00027) to contract W911QX-16-C-0012 for Saturn Arch Quick Reaction Capability Aircraft. Work will be performed in Bridgewater, Virginia, with an estimated completion date of Sept. 16, 2019. Fiscal 2018 other procurement, Army funds in the amount of $26,798,950 were obligated at the time of the award. US Army Contracting Command, Aberdeen Proving Ground, Maryland, is the contracting activity. PeopleTec Inc., Huntsville, Alabama, is being awarded a $33,607,659 competitive cost-plus-fixed-fee contract with a two-year base value of $9,063,878 for advisory and assistance services for international engineering in support of technical, engineering, advisory and management support. This contract covers systems engineering activities for international programs and the Ballistic Missile Defense System to defend regional interests, allies, and deployed forces against ballistic missile threats. The work will be performed in Huntsville, Alabama; Fort Belvoir, Virginia; and Tel Aviv, Israel, with an estimated completion date of September 2023. This contract was competitively procured via publication on the Federal Business Opportunities website with three proposals received. Fiscal 2018 research, development, test and evaluation funds in the amount of $201,000 are being obligated at time of award. The Missile Defense Agency, Huntsville, Alabama, is the contracting activity (HQ0147-18-C-0023).